Interested in orthodontic services? At Madison Dental, we are proud providers of Invisalign® for both adults and teens. Book your complimentary consultation today! Metal braces were once the only treatment used to straighten teeth. Today, Invisalign® is a ground-breaking orthodontic technology which utilizes invisible , removable aligners to correct misaligned teeth. Whether you’re a teenager in school with extracurricular activities or an adult working full-time, this form of treatment is flexible for all lifestyles! Invisalign® is a New Form of Orthodontics! Instead of having wires attached to your teeth, your teeth can be straightened invisibly. No matter what age you want to take the steps towards a better smile, we can help you get started on this journey. Invisalign® is Clear – You can straighten your teeth without anyone knowing. Invisalign® is Removable – You can eat and drink whatever you want during treatment. Invisalign® Allows You to Brush & Floss Normally – Normal dental hygiene is simple, keeping you on top of plaque buildup, periodontal disease, and tooth decay. Over the course of treatment, you will be supplied with a series of aligners. Each aligner will make slight adjustments to your tooth position, a process that is mapped out in advance by Dr. Dhol, specifically for your situation. When the aligners are placed on the teeth, they cause the teeth to gradually shift from their current position. After approximately 10 days, you will begin using the next set of aligners, which will continue the teeth straightening process. How will Invisalign move my teeth? Invisalign aligners move your teeth through the appropriate placement of controlled force. The main difference is that Invisalign not only controls the force, but also the timing of the force application. During each stage, only certain teeth are allowed to move. These movements are determined by Dr. Dhol when he maps out your unique Invisalign treatment plan. However, unlike with braces, you have the flexibility to remove your aligners to eat and drink what you want during treatment. We will schedule regular appointments usually about once ever 6-10 weeks. The goal of these visits is to ensure that your treatment is progressing as planned. Since your office visits during treatment don't involve metal or wire adjustments, your appointments will be shorter in duration. How will Invisalign® fit into my lifestyle? With Invisalign®, all you’ll need to adjust to is your new smile. If it weren’t for the remarkable way it was transforming your smile, you’d hardly even notice it. Because Invisalign® lets you live your life. In fact, it does an excellent job of giving you the flexibility you need, since it’s clear and removable. 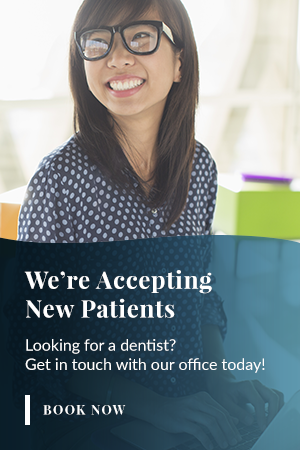 Fill out our consultation form, or give our office a call, and we would be happy to help you out!